Published by Mountainblog on 05/14/2013 . For fitness enthusiasts, the KMD Sport LS offers all of the benefits of the KMD Sport with the popular speed lacing system to accommodate wider feet and higher insteps. The stitch-free, seamless footbed reduces friction and the Vibram® performance rubber outsole provides the grip and protection you need for a variety of cross-training activities. Machine washable. Air dry. From Vibram to Vibram FiveFingers® It was 2001 when industrial designer Robert Fliri proposed the idea of Vibram FiveFingers® to Marco Bramani, grandson of Vibram® founder Vitale Bramani, who immediately embraced the concept. 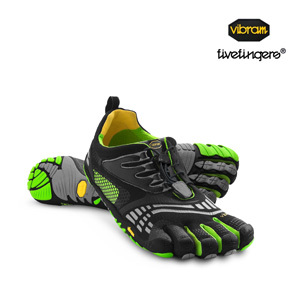 In 2004 the patent was filed and in 2005 Vibram FiveFingers® started being widely commercialized. Soon Fliri arrived at Vibram® and started to work with a team of experts and engineers who helped him to redefine and realize his idea. From the original concept a collection of shoes especially created for barefoot were born and simply known as Vibram FiveFingers®. This is how the new minimalism footwear was born, directly inspired by the barefoot phenomenon, the practice of walking with uncovered feet. Here comes the main characteristic of this extraordinary shoe: the sole with five fingers made of Vibram® rubber, which, as a flexible glove, helps the natural articulation of the foot stimulating muscles of the lower limbs and therefore gives a higher sense of well-being to the whole body.